When the North Carolina Court of Appeals decides not to publish an opinion, the opinion is not controlling precedent and citations to it in briefs, and arguments are disfavored. Nevertheless, unpublished opinions can be quite instructive. The North Carolina Court of Appeals’ unpublished opinion in the case of Whitehurst v. Sipes, __ N.C. App. ___, ___ S.E. 2d ____(2016 WL 4009638)(Unpublished)(February 2, 2016) is a good example of an instructive opinion. In Whitehurst, the Court of Appeals confronted an “incomplete” trial court order. But, through diligent examination of the local zoning ordinance and record of the quasi-judicial zoning proceeding, the Court was able to resolve the issues presented on appeal. In other words, Whitehurst is an example of the North Carolina Court of Appeals, independently searching a local zoning ordinance and quasi-judicial proceeding record for answers. 1. Appeals to Superior Court from quasi-judicial zoning proceedings can involve two very different standards of review. For issues of law, such as interpretation of zoning ordinance, the review standard is de novo. However, when the appeal relates to an erroneous evidentiary finding, the standard is the sufficiency of the evidence in the whole record made at the quasi-judicial proceeding. a. Attorneys representing parties on appeal to Superior Court should clearly articulate the correct standard for each issue presented in their briefs and arguments. b. A complete Superior Court order sets out separately each issue, the applicable standard for review, and the support for the Superior Court’s conclusion. 2. When interpreting a zoning ordinance, a decisive rule of construction is that zoning ordinances are strictly construed in favor of the free use of real property. Like in baseball, where a tie is called always in favor of the runner, an ambiguity is interpreted in favor of the free use of land. Hand in hand with this decisive rule, a court will neither add nor subtract from the literal language of the local ordinance to solve an ambiguity. a. In Whitehurst, the Court of Appeals carefully examines the applicable local zoning ordinance – only the applicable zoning ordinance – and provides idiosyncratic interpretations of the law of Alexander County regarding enlargement of non-conforming buildings, enlargement or extension of nonconforming use, and forfeiture of nonconforming use. 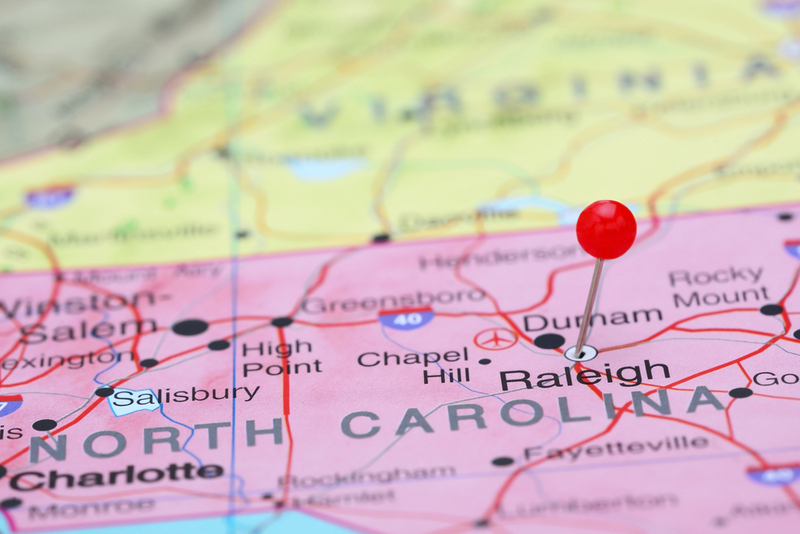 The distinct interpretations contained in the opinion are separate case studies of the currently prevailing methodology used by North Carolina Appellate Courts when interpreting a local zoning ordinance. b. While it is valuable to know general zoning law concepts, most interpretation issues are resolved by examination of the zoning ordinance of the local jurisdiction involved. 3. When examining whether there is sufficient evidence in the record of the quasi-judicial proceeding to support the written findings made by the local board, the entire record is reviewed to discover relevant evidence as a reasonable mind might accept as adequate to support the challenged finding. a. The Court of Appeals’ opinion demonstrates a detailed examination of a record. If the record is lengthy, imagine the laborious nature undertaken by an appellate court slogging through a cold record. Advocates should have identified specific evidence in the record supporting their position and explain the reason that other evidence does not support a contrary conclusion or is weaker. b. Developing evidence in advance of a quasi-judicial proceeding can determine the outcome. An important function of law is to provide a forum to resolve differences with finality. Many times, appellate courts have no choice other than to remand without deciding an appeal when the trial court’s order or judgment is incomplete. Advocates need to understand the distinct standards applicable to quasi-judicial appeals and be sure to tender to Superior Court judges accurate briefs and complete orders. If you fail to do so, then the parties and the courts are likely to expend unnecessary time, cost and delay resolving their disputes. The parties in Whitehurstare fortunate. Because the North Carolina Court of Appeals “rolled up its sleeves”, we have a case study of how the Court of Appeals thinks about de novo and evidentiary issues in a quasi-judicial appeal. We can learn from it.